Dental Crowns – A dental crown is used to restore a tooth that has been weakened by severe decay or cracks. It acts as a protective covering to prevent further breakdown of the tooth and when done early, it can help to prevent more serious issues. It is critical to restore a broken or cracked tooth in order to prevent further damage. More serious matters can often be more difficult and expensive to treat. 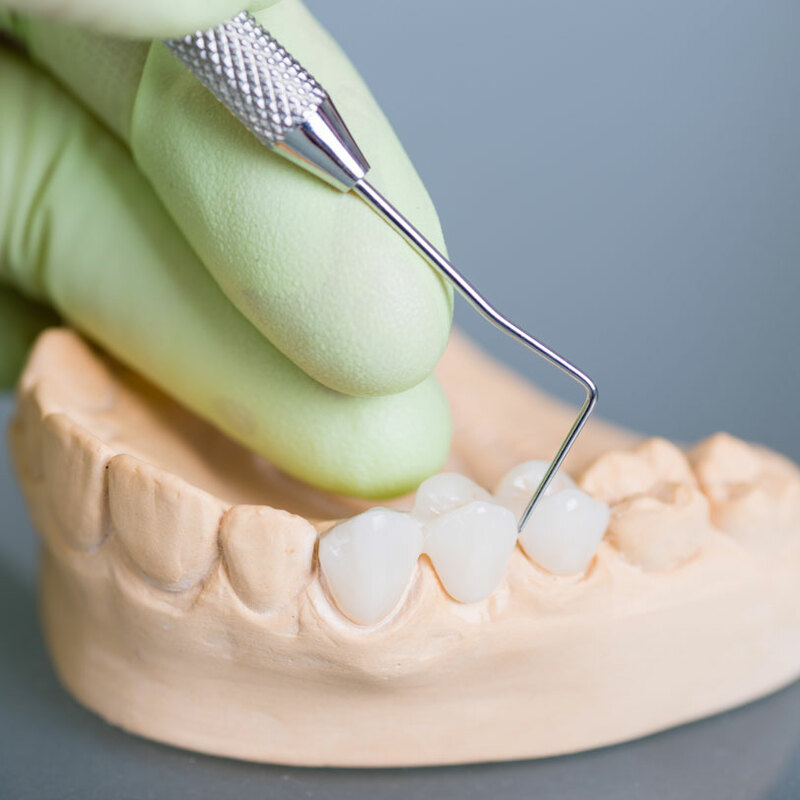 Treating a weakened tooth early on using a dental crown will restore the functionality of your tooth and do so in an aesthetically pleasing, cost-effective manner. Dental Bridges – A dental bridge offers a solution for a space left by a missing tooth. When a gap is left in the mouth due to tooth loss, it can lead to health concerns, difficulty chewing or speaking, and it can even cause your facial structure to change. Placing a bridge will help prevent these more serious issues. A bridge involves placing crowns on the teeth to either side of the gap in order to secure the artificial tooth in place. It provides a strong, stable solution to missing teeth. Crowns and bridges can be made of ceramic or metal, or a combination of the two, and vary depending on your specific needs. When you visit South Orange Dental Center, Dr. Rosemond will examine your needs and determine what will provide you with the best results.